Powerful GT2200 garden tractors are built to make easy work out of tough jobs. Ride in comfort, thanks to the high-back seat, 13" Soft Touch steering wheel and smooth hydrostatic drive. They're also equipped with cruise control, electric power take-off (PTO) and an hourmeter. The Attach-a-Matic hitch system makes it easy to mount attachments and accessories. Premium KOHLER Courage Engines- Kohler engines are manufactured to withstand the rigors of commercial use, so you can be confident that the quality and durability of your Kohler Courage engine will help you tackle almost any job in your backyard! Twin-cylinder Kohler Courage Engines, featured on our LX468 and GT2200 tractors, have high horsepower and greater displacement for easier starts, reduced noise and less vibration. Plus, twin-cylinder engines burn cleaner and have increased fuel efficiency if maintained properly. Heavy Duty Transmission- Durable hydrostatic transmission with an easy to use foot pedal control allow you to easily vary your mowing speed. KeyChoice System- Toro's KeyChoice reverse operation system improves safety during operation in reverse, without diminishing performance. 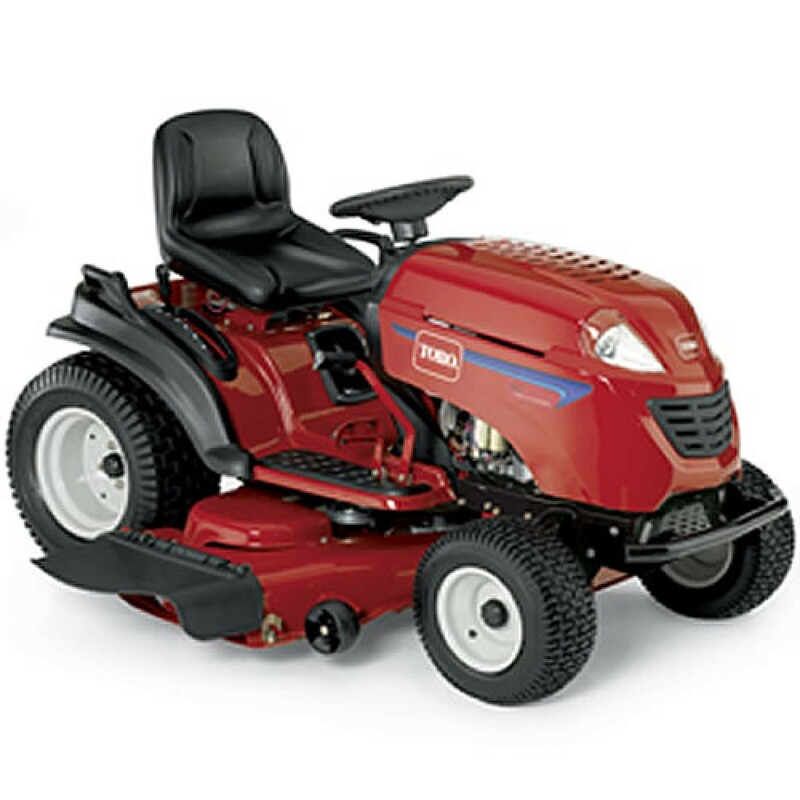 Toro Comfort Features- Toro tractors come with a 13" (33 cm) soft touch steering wheel, step through design, rubber foot rests and side handles so you can easily get on the mower. Cast Iron Front Axle- Provides extended life and durability. 18" (45.7 cm) Turning Radius- The Toro GT2200 garden tractors have a 18" (45.7 cm) turning radius for exceptional maneuverability. Bumper- All Toro GT2200 garden tractors come with a bumper to help protect the hood and grille. Large 3-Gallon (11.4 Litre) Fuel Tank- Cut more grass and spend less time fueling up. Two-Year Limited Warranty- Toro Lawn Tractors and GT2200 Garden Tractors are covered by a two-year limited consumer warranty.